So says Sweeney Todd to his soon-to-be-partner-in-culinary-crime. 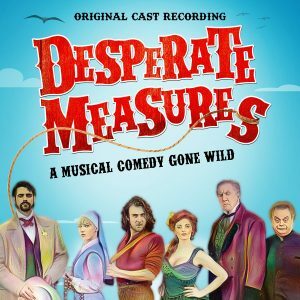 these days of musical theater, DESPERATE MEASURES is called for. World Stages on West 50th Street. piece for the CD booklet. I’d still be endorsing this terrific musical. condemned lover marry another woman or be put to death. lass named Mariana pinch-hitting for Isabella in Angelo’s bed. music inspires patrons to do. that we haven’t heard the entire line: “in bronze,” he concludes. and leave it at that – will be taking her place in the Gov’s boudoir. Outer Critics Circle and the Lucille Lortel Awards. Composer – on OR off-Broadway. www.broadwayselect.com and each Friday at www.mtishows.com .